Lil’ Rider Wiggle Car is a smooth and quiet ride for your kids. You will find that all the Wiggle Car Reviews are full of admirations and trustworthiness. This is itself a witness to what this toy car stands for. This car does not require any power source to drive on. Your kids can drive it just twisting and wiggling. 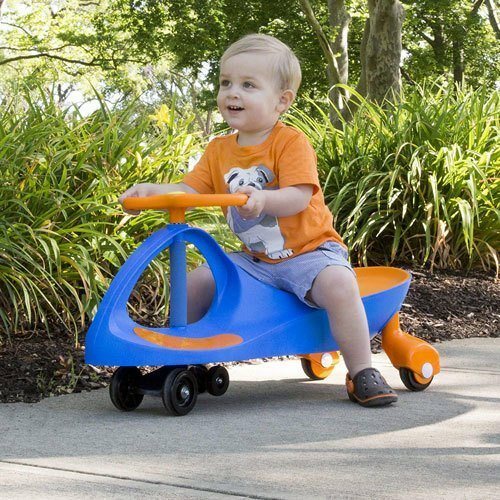 All the live lil rider wiggle car reviews will say that the lightweight wiggle car offers smooth ride both in an even and flat surface. You don’t need any paddle, gears, batteries or fuel to accelerate this smart wiggle car. Using the inertia and centrifugal force it can be accelerated easily. The wiggle car is also better for the learning experience of your young kid. In this review, I will share the features, kids-exclusive designs, and benefits of the Wiggle Car in detail. It is a quite simple ride for your kid. The wiggle car has no button or switches to start like other flashy electronic toys. It offers effortless operation. The kids can ride anywhere they want. But the rough and uneven surfaces will be difficult to speed up with this toy. So it is recommended to drive it on plain and even surfaces. The manufacturer also advises avoiding wooden floor as it might be damaged or scratched by the wheels of Wiggle Car. This car is safer than other toys. Because the body is near enough to the ground. The Wiggle Car is suitable for both indoor and outdoor ride on. It measures 30 inches in length, 13.5 inches in width and 16 inches in height after assembling. It weighs only 9.5 pounds and can hold up to 150 pounds. Therefore it can bear with the weight of adult too. The wiggle car is designed for the kids of 2 years and up. The weight capacity allows grown-up people. The car is fully made of high-quality and durable plastic. The front wheels are crucial enough as it accelerates the car. You can build it faster turning the wheels in perfect time. The height of this wiggle car is suitable for a kid to make it safe for riding. The wiggle car is safety approved and allows kids healthy exercise. The rugged plastic ensures the durability. The wiggle car does not need any power source like batteries or electricity. It has no gears and pedals too. The driving of this car is very interesting. It is completely natural and requires ample concentration. The wiggle car follows the law of physics to accelerate while riding. So a basic knowledge of physics would be fun to apply. You need to twist and wiggle the wheels in a perfect time. The twisting process builds the friction and provides the required reaction to move forward or backward. To control this car, your kid just needs to practice the turning and twisting process. All the lil rider wiggle car reviews will attest to what is said above. The wiggle car is a natural toy car in which your kid will enjoy more than in other traditional toys. But it is important to ride this toy on a smooth surface. It can be difficult to drive on a rough and cracked up pavement or an uneven terrain. The speed limit is just safer for kids. Even if the kids run a race, there is no chance of accident or damage to the car. But if it happens in the rough terrain the wheels of the wiggle car can be damaged. The wiggle car is also a great learning source for kids. The driving mechanism of the wiggle car allows the kids to be more focused. It increases the thinking capability. The intuitive and creative riding style develops the coordination. A kid has to use his upper body pressure to accelerate the wiggle car. They need to focus on the timing to build the speed. Sometimes this is a tiring job for a kid that may cease to develop their patience and fortitude. The Wiggle car reviews from the happy customers prove its safety and durability. No fatal reports have found about the Wiggle Car. But in some Wiggle Car Reviews, customers complaint about weak instructions and counterfeit products. No extra power source required. Customers reported the lacking of instruction specifics but that is not a deal breaker. This article will save you from the toll reading myriads of identical wiggle car reviews on the net. If you are searching for a toy for your kid, the wiggle car is one of the best. 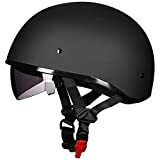 It has a great sleek and compact design. The lightweight wiggle car is safer than any other traditional ride on toys and the ground low seat provides extra security in turnings. The learning experience of your kid would be fair in the aspect of a toy car. It will develop the patience of your kid. The riding experience also allows learning about driving and controlling. You can and should go for this wonderful ride on toy.